I think that's what happens to all of us. We figure it out and then "BONG!" 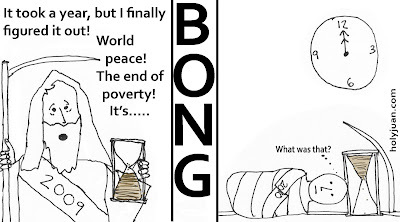 I think a lot of times, it's the bong that comes before figuring life out.